This beer bread is a tale about the little place we call The Internet, and how it sometimes can be downright quaint. I pulled this amazing cheesy garlic-scented pan of bread love out of my oven because of a “reader”. That is in quotes because I am in denial over the fact that it still must just be my mom reads who reads this blog. Take for example the randomly selected person (Hi Sofia!) behind a comment on the kitchen scale giveaway. When prompted with “what should I make next” her answer was “cheesy beer bread”. I would have easily made any comment on the post but beer bread was a long-time coming. It’s been on my list since I taught Baking With Booze and the question arose (Hi Mason!) how one could put bourbon into beer bread, because it took 5 seconds for everyone to realize that I have a little habit of tipping the bottle in to most things that I bake. It was decided that the best way should be to first marinate jalapeño peppers in bourbon, then add the spicy bourbon to the beer when making one’s batch of beer bread. 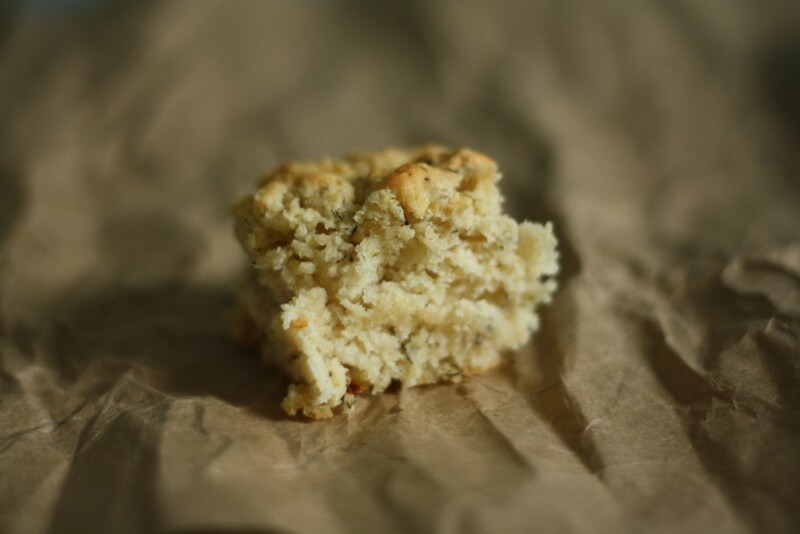 Sadly I don’t have that version to share with you today – this is recipe for a bourbon-free baked good. I don’t mean to scare you. The bourbon will be back soon. But where it lacks in bourbon, it does not lack in flavor. 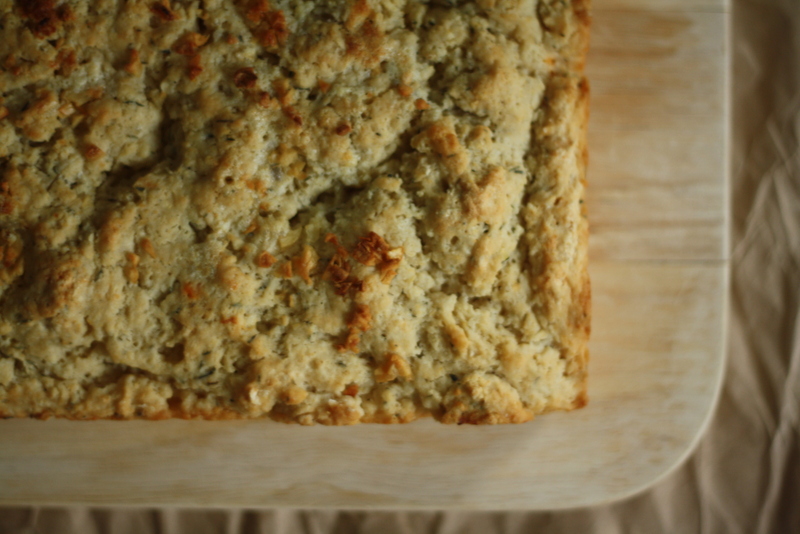 This bread well makes up for any missing booze with garlic, butter, cheese, herbs, and of course BEER! So this is a long way of saying thank you. Thank you Internet for letting me connect with wonderful people. Thank you Sofia for the welcome suggestion! Thank you Mason for the recipe! Thank YOU for reading BMUB on your five-minute lunch break. I know it’s hard to schedule a dentist appointment and order some shoes on J.Crew without your boss seeing and try to eat a salad when I throw cookie after cookie at you – just know that I appreciate you reading. Y’all are the best! Oh, also, I forget to mention this tiny P.S. I’m here. This is actually a robot posting something I wrote a few days ago. But don’t worry, I’ll be back soon with coconut baked goods, things made with rum and tropical drink ideas! Preheat the oven to 375. Butter an 8×8 pan and set aside. Melt the butter in a small saucepan over low heat. As the butter begins to melt, add the garlic, and cook for several minutes or until the butter begins to foam and the garlic is fragrant. Turn off the heat and set aside. Set a fine-mesh strainer over a large bowl. 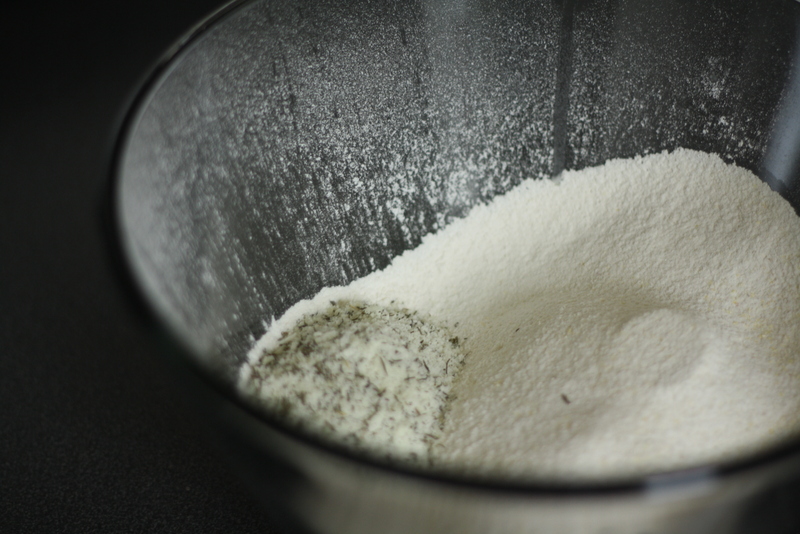 Measure out the flour, baking powder, salt, sugar and cornmeal into the strainer, then sift all the ingredients together into the bowl. Combine the parmesan, thyme, and red pepper flakes together in a small bowl and carefully whisk into the flour so all the dry ingredients are well combined. Pour in the beer and working quickly but gently use a spatula to combine. 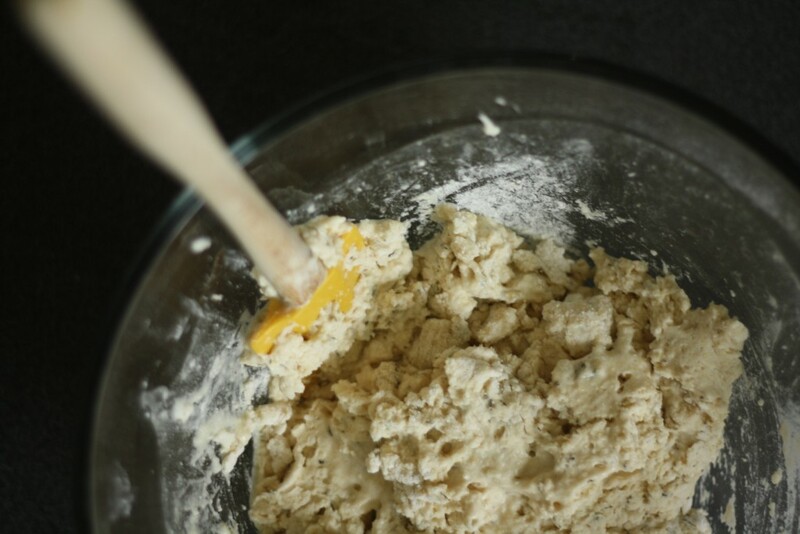 It is okay if a few streaks of flour remain, but you want to be careful not to overmix the batter. 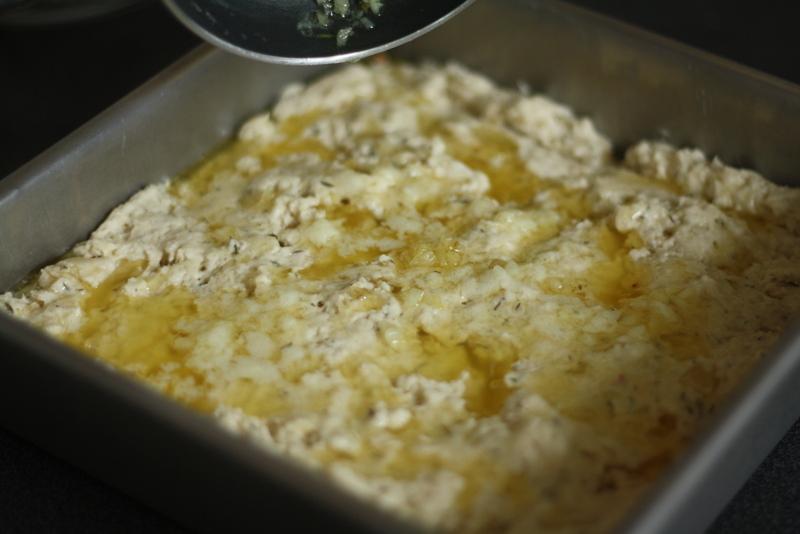 Spread evenly into the prepared pan and drizzle with the melted garlic butter. 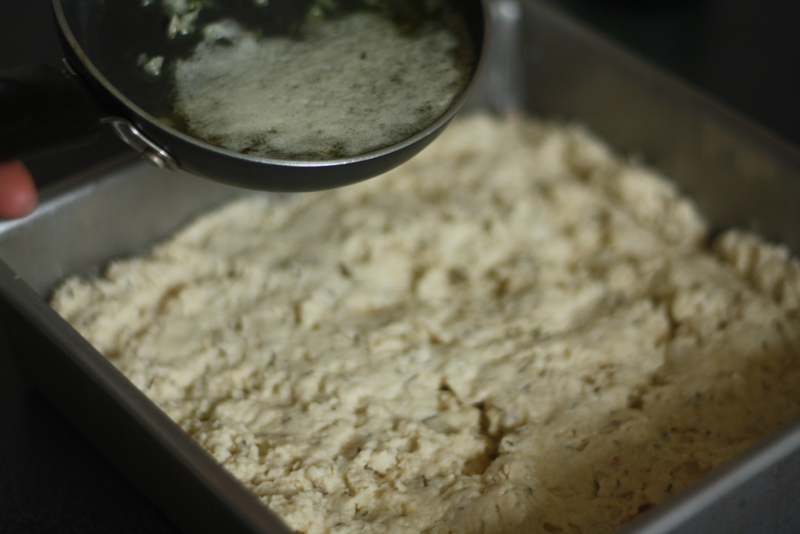 Tilt the pan so the butter fills as many nooks and crannies as possible. 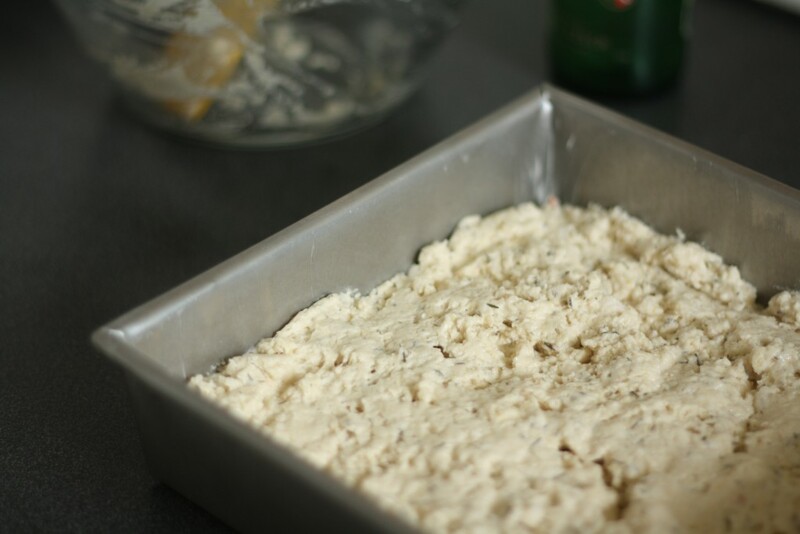 Bake for 35-40 minutes or until the top is lightly browned and a tester comes out clean. 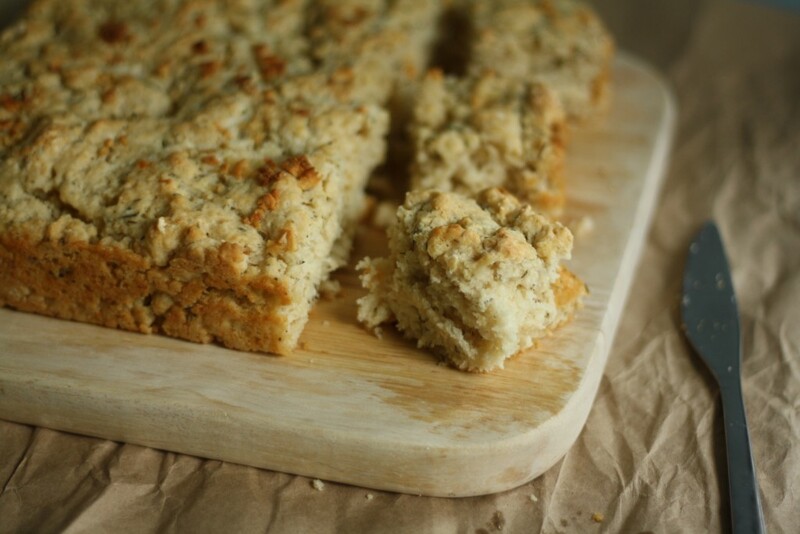 Beer bread is best served warm with cold beer. Thanks! Beer will always make it better! this is soooo great, lillie! Your blog was one of the most recommended here in a page from Argentina. It’s awesome! The colors, the way that you write your recipes and all the photos look very Yummy xD. Definitely I’ ll try this one! I just loved the garlic, the beer and bread. I imagine that putting all those things together has to be PERFECT!